With the CreatePdf program, you learn how to create a pdf document and write a few lines of text in it. In Java, you can simply create a pdf document by using iText library. It is free and small. To use the iText library to create pdf documents, you need to download the library zip file from http://itextpdf.com/download.php. Then extract the zip file and add the jar file (e.g. itextpdf-5.4.2.jar) to your CLASSPATH of your operating system. For the Eclipse users, you can add the jar file to your project by clicking the Add External JARs... in the Libraries tab of the New Java Project window. For code explanation, please read comments along with the code. 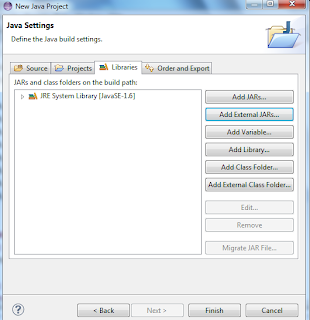 You can also use Java Library for PDF form Aspose to create PDF File in java. This Lib offers many other features which you explore and get an idea about how to use them.